It's the jack of all trades necktie. You can wear it for almost any occasion. A mixture of red, blue, and brown patterns will add dapper to your wardrobe. 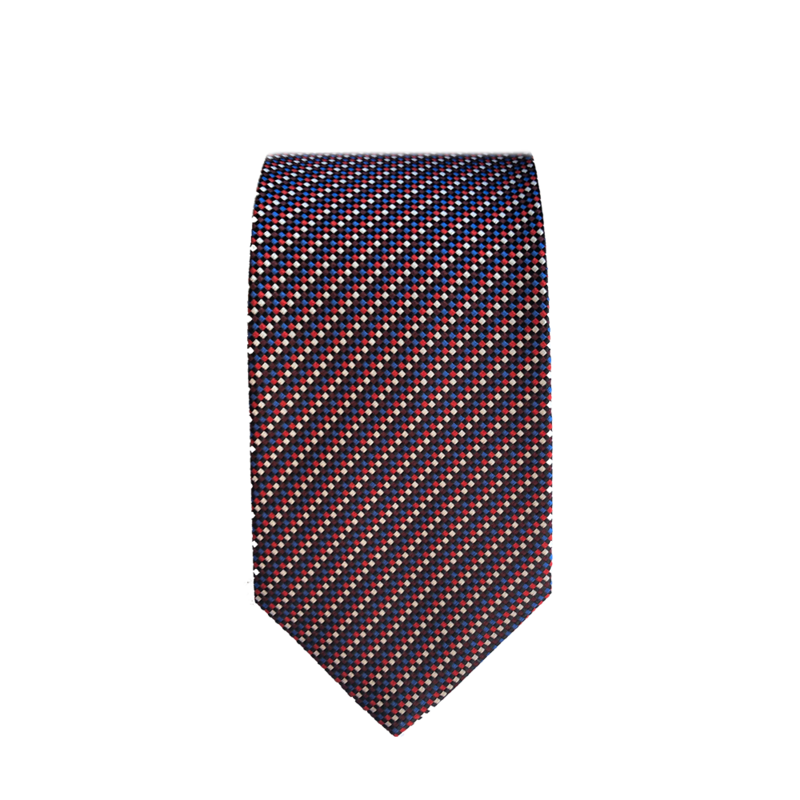 Add this silk tie to your collection.